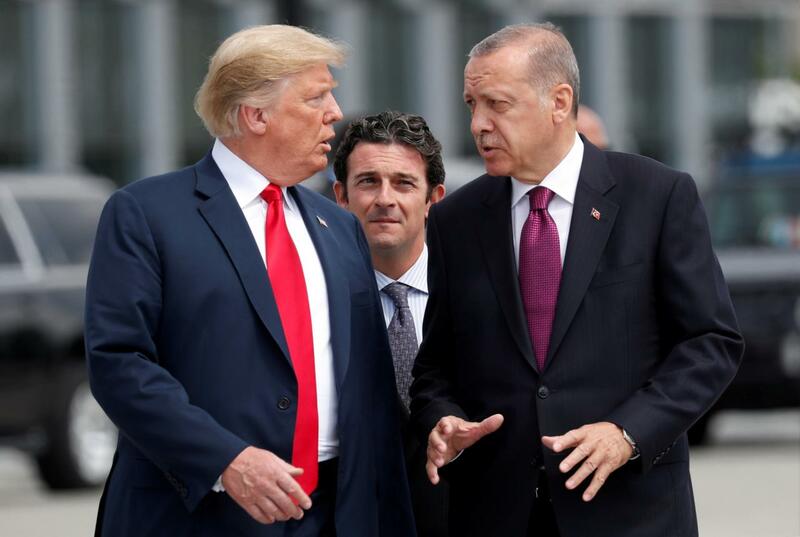 President Donald Trump threatened Turkey with economic devastation if it attacks a U.S.-allied Kurdish militia in Syria, weakening the Turkish lira and prompting sharp criticism from Ankara on Monday. A diplomatic crisis last year, when Trump imposed sanctions on two of President Tayyip Erdogan’s ministers and raised tariffs on Turkish metal exports, helped push the Turkish lira to a record low in August. Turkey’s presidential spokesman Ibrahim Kalin said Trump should respect Washington’s alliance with Ankara. Trump gave no details about the safe zone proposal. He announced last month he would withdraw U.S. forces from Syria, declaring they had succeeded in their mission to defeat the Islamic State group and were no longer needed. Erdogan’s communications director Fahrettin Altun said “Turkey will continue its anti-terror fight decisively” and that it was a protector of the Kurds, not their enemy.